MOSCOW (Sputnik) - The Houthi rebels, officially known as Ansar Allah, claimed Wednesday that they had struck an Arab coalition warship near the port of Al Hodeidah , where a fight between the Shia militia and government forces started in the earlier hours of the day. "Our glorious defenders from the naval forces were able to hit a battleship of Saudi-US hostile forces, and made the second one flee the area," Mohammed Ali al-Houthi, the head of the Houthis' Supreme Revolutionary Council, said on his Twitter. According to al-Houthi, the first ship sank, while some of its crew were evacuated by helicopters. He did not rule out that there were US military advisers on board, invited by the United Arab Emirates for consultations before the attack on Al Hodeidah began. Earlier in the day, Yemeni government forces, backed by the Saudi-led coalition, launched a full-scale offensive to seize Hodeidah, which is a strategic stronghold of the Houthi rebels and a key entry point for humanitarian aid. The operation was launched after Houthis ignored the government's offer of peaceful settlement, which expired on Tuesday night. The government said it had exhausted all possible political and diplomatic means to make the rebels withdraw its forces from the port city. According to the Saudi Khabar Ajil media outlet, Houthi leader Abdul Malik al-Houthi's brother and 16 more senior members of the rebel movement may have been killed when during the operation. Neither the coalition nor the rebels have confirmed the death of the leader’s brother. Yemen has been in a state of civil war since 2015. 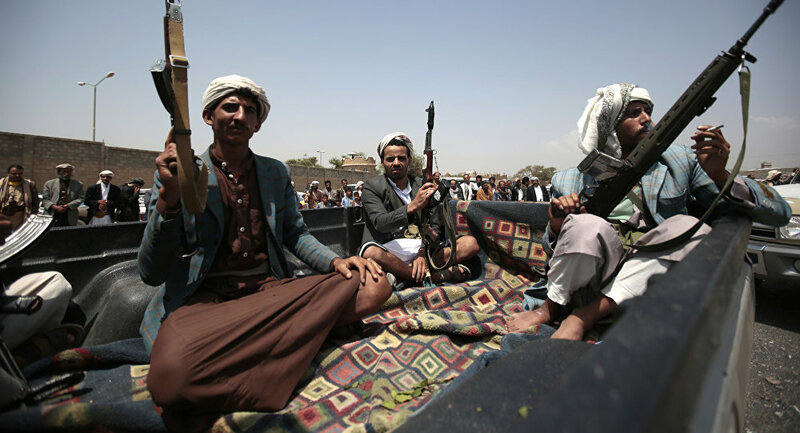 The government forces of Yemeni President Abd Rabbuh Mansur Hadi fight the predominantly Shia-led Houthis with the help of Saudi Arabia and its allies. The UN attempts to bring the conflicting parties to the negotiating table have not yielded any major results so far.